Is it a prototype or isn't it? 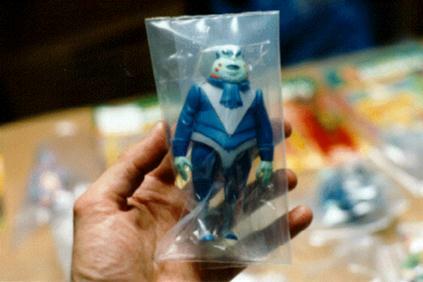 That's a good question because this figure is rumored (and since confirmed) to have been released in Brazil by the Glasslite company though few have surfaced. Here is a production-quality US version of the figure that's machine made and painted. If it had been produced in the US this figure would have come with and At-At Driver gun, however the Glasslite version came with an exclusive BLACK Hoth Stormtrooper gun. Proof cards were printed for this figure and one can be seen here. For a better view of the drawing, you can check out the original artwork.